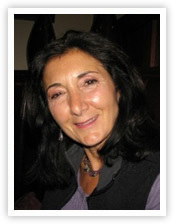 Marianne is a certified Polarity Therapist (RPP), Registered Polarity Educator (RPE) and Lymph Drainage Therapist (LDT). She works to tailor your individual session to meet your specific needs based on an interview and conversations. Her operating principles are based on the belief that our intention for healthy work-lifestyles, result in enhanced productivity and greater opportunities for harmony in life. *For over 25 years she has been facilitating the personal and professional development of individuals and organizations bringing an innovative combination of psychology, holistic health care and organizational development to her work with companies. Her current passion includes a new series of experiential work-life wellness programs for small and large companies that she has created along with her husband, Dr. Allan Tomson. For more information on organizational & professional development, go to Scippa & Associates. Learn more about Polarity Therapy and Lymph Drainage.